As any entrepreneur will know, it takes a lot of effort to build a successful business. So, whether you are thinking of selling your company now or in the future, you need to know how to prepare your business for sale in order to derive maximum value. However, you also need to understand the technical process of selling a business to avoid some common pitfalls and make life easier for yourself. If you are thinking about selling your business, this guide is a helpful starting point. 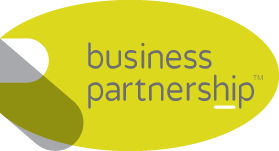 It has been compiled by our team of experts at Business Partnership who have helped thousands of business owners sell their business since 1979. The starting point when thinking of selling your business is to be clear on your reasons for doing so. That way, you can set out what you need from the sale and be led by your priorities. For example, if you are planning to retire, look at what money you need to retire and plan, over the long-term, to change your business so that it is worth that particular market value when you seek to offer your business for sale. The earlier you seek advice the better the chance you will achieve the best value for your business upon sale. 5 years before you are looking to sell your business is a fair starting point. Conversely, if you want to sell your business in order to start a new venture or in the case of ill health, you may need to aim for a faster sale at the current market value in order to refocus your energy in a new direction. Understanding what you need is vital, but accepting that the value may be less than if you have fully prepared for a sale is only realistic. Being clear on your reasons for selling will also help you to negotiate with your buyer. Negotiations can be tricky, but if you know what are your red lines allows you to understand what is not important and can be conceded to get what you want. Detail is important and do not be tempted to “sort out stuff later”. So, get what you want agreed in the heads of terms because as soon as they are signed the buyer is in the driving seat and concessions will be harder to win. Otherwise, the process can become unnecessarily protracted and frustrating. Being clear on your goals helps you to build and maintain bargaining power, and also helps lead to a win-win situation for both parties. Many business owners who want to sell think that they can do little to influence its value, taking the attitude that the business’s worth is based on its current and historic revenue. However, years of experience have told us that this is not the case. Buyers are interested in the future and will base their decision on a variety of factors. Of course, income to date is important, but more so is the business’s potential to maintain and grow its profits. Most businesses are built on the passion, pride and hard work of their owners. It doesn’t matter whether your business is worth £50,000 or £5m, it’s personal to you and represents an important chunk of your life. So you deserve to make the most of this life’s work and you should try to build value into your business before you sell. Of course, a long-term plan is always best but even if you’re thinking short-term, and would like a sale within the year, there are steps you can take to make your business more appealing to a potential buyer. Buyers will pay a premium if your business can demonstrate a healthy future. Long-term contracts have an obvious appeal but there are other ways you can show your business is a sound investment with the potential to grow. Industry benchmarks: It’s worth doing some research to understand what trends you can measure your business against. For example, can you show that your business has achieved a greater level of growth than others in your industry? Can you demonstrate leadership in a particular product or service? Does your company have a reputation for anything in particular, like premium products, competitive pricing or excellent customer service? Think of the variety of ways you can make your business stand out as a sound investment. Competitive advantage: Clarify what makes your business stand out from the competition. If you sell a product, understand and demonstrate why people buy from you and not your competitors. If you sell a service, think about how you can expand your offering and strengthen your brand, thank Hoover not vacuum cleaner. Can you use your strengths to create a recurring revenue stream from existing customers and articulate how this can be further developed. Scalability: Buyers want businesses which have potential to grow. You’ll be able to command a higher asking price if you can show that your business is scalable and able to meet increased demand. It’s worth spending some time reviewing how well your business is positioned for future growth – do you have ready access to the materials and/or labour to enable the company to expand? What are your barriers to growth? Your finances must be healthy before you sell, and everything needs to be properly documented. If there are gaps in your accounts, you need to undertake an audit to ensure everything is covered as a good buyer will, quite rightly, have an eye for the detail. Ensure you figures are up to date and management figures are produced, even simple numbers like turnover and VAT returns are better than nothing. Business buyers are most often put off buying a business when they have to wait months for the annual accounts and need to rely upon figures which are 6 months out of date. These factors increase their view of the risk in your business and will reduce the price you get. Be prepared to show your historical accounts so make sure they’re to hand and in ship-shape for any prospective buyer to review. Naturally, the higher the value of the business or the higher the risk, the more documentation a buyer will need access to. Although audited statements are usually costly, they do demonstrate trustworthiness which, in turn, increases your business value. You should also be prepared to share your financial projections and business plan with any potential buyer, so again, it’s worth spending time on these documents before you begin to market your business. Demonstrating the future, i.e. what the buyer is purchasing, only helps you get a better price. A problem we regularly come across is over-reliance on a single customer. Buyers are likely to prefer a business which has spread its risk. If the loss of a single customer would have a big impact on your business, try to fix this problem before you sell. If this cannot be done, try to show how the business would cope if the client was lost. Buyers pay a premium for a resilient business. Buyers need to know that the business will be able to operate post-sale, once you have stepped away. While business owners usually know every detail, it’s good to have a second-in-command who knows the business almost as well as you. It can be helpful to buyers if there is someone who is willing to continue to work for the company after the sale, aiding a smooth transition, so make sure your business’ success isn’t solely down to you. It’s also a good idea to show your business includes staff who know and care about your customers like you do. Engaged staff and satisfied customers give your business the resilience to weather a setback, and this will make it more appealing at the marketing stage. You also need to demonstrate that you have robust systems and processes in place for all aspects of your business, from sales, marketing and production to finance and HR. Buyers will be favourable towards businesses which allow them to ‘hit the ground running’. Review your employee handbooks and your documented processes and procedures. What would you want from your business if you were the buyer? And are you emphasising these points sufficiently? When you understand who may buy your business and why, you can proactively create a more attractive proposition. If your company is young and growing, it may be appealing to an older, more established buyer. If this is the case, you’ll need to pay close attention to your reputation and industry standing as these qualities will influence the attractiveness of your business to a buyer who wants to expand their own portfolio. If your business is to be bought by an entrepreneur who wants a solid foundation from which to grow, you’ll need to demonstrate that your business is a low-risk choice with secure revenues and a clear plan to grow significantly over a reasonable period of time. This ‘buyer first’ thinking will help you to understand what to concentrate on when marketing your business and enable you to gather relevant evidence to help them see that your business is the right choice for them. We work alongside business owners and company directors to prepare their businesses for sale and to manage all aspects of the sale process. Not only does this mitigate the risk involved, and help owners to derive maximum value, but it also reduces the time, effort and energy required to market and sell a business. One of the biggest mistakes owners tend to make is to engage with only one prospective buyer at any one time. Experience has shown us that when marketing a business, it’s worth engaging with a number of buyers at any one time because, inevitably, some buyers will find that it’s not the right deal for them further down the line. Competition also helps support the price achieved. Once a buyer is found, it’s important to instigate a confidentiality agreement as you will need to share commercially sensitive information with them from this point on. If your buyer likes the look of your company’s financial position, they’re likely to want to undertake a process of due diligence to appraise every aspect of the business. This usually begins once you and the buyer have agreed the terms of the sale (either a Letter of Intent of Heads of Terms) and the price and typically takes two to three months to complete. During due diligence, it is important to work with your solicitor to mitigate the risk of the buyer trying to reclaim money after the sale. The sale will be evidenced in a contract with all the terms of the sale fully documented. You should expect to sign a ‘non-compete agreement’ which prevents you from starting a new, competing business after the sale. We hope that this guide has shown that, with careful planning and forethought, it’s possible to improve your business’ appeal to potential buyers and increase its market value. Our research shows that on average a business can increase its value by 70% if the right action is taken pre-sale. Whether selling your business is something you plan to look at in future, or whether you’ve decided to sell and want to begin the process, it’s never too soon to start planning. Speak to one of our business sales experts today to arrange an informal consultation. This is an initial meeting or phone discussion where we seek to understand more about your business and your thoughts about selling it. It’s also an opportunity for you to ask us lots of questions about any aspect of selling a business. Each business is different which means we tailor our approach to meet your needs. Visit our website for more information, or get in touch on 0870 444 0 555.